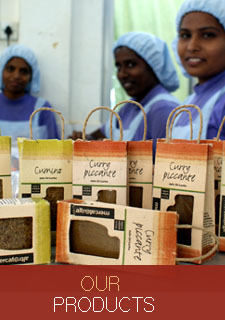 PODIE is a limited liability company (by guarantee) based in Negombo, Sri Lanka which is engaged in export of value added spices for over last 30 years. 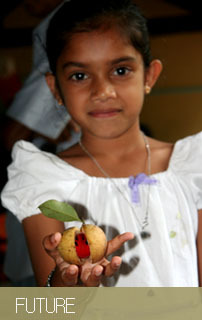 The word “PODIE” denotes “People's Organization for Development Import and Exports”. We mainly work with farmer & producer groups affiliated to our organization. These groups are based in different parts of this country. In addition to providing market for their produce & products, we also provide assistance to develop their infrastructure to increase their productivity & also to enhance the quality of their produce to suit the international markets. We also took the initiative to encourage our farmers to go organic & thereby offer them a premium price for their organic produce. We mainly export to Fair Trade Organisations based in European & Scandinavian countries, Australia, Hong Kong, & New Zealand. We are a member of World Fair Trade Organisation (WFTO). We are also an active member of WFTO - Asia & WFTO - Sri Lanka. The board of Directors of our company consists of ten Directors and Seven of them represent farmers & producer groups. There are 58 full time workers in our organization & they are mainly women. We pay fair wages to our workers in accordance with the Sri Lankan Government regulations. We also adhere to the standards set by WFTO in relation to working conditions & environment. PODIE ASPIRES TO MOTIVATE THE SMALL SCALE ORGANIC SPICE PRODUCERS IN SRI LANKA TO IMPROVE & ENHANCE THE QUALITY OF THEIR PRODUCE TO MEET THE INTERNATIONAL STANDARDS THROUGH FAIR TRADE ACTIVITIES. To boost the income of small scale farmers by offering them a higher price than the prevailing market price. To create an awareness among the small scale spice producers about the importance of practicing organic farming and thereby motivate them to adhere to these practices. To improve the standards of production at the farm level by providing them with necessary infrastructure facilities. To explore new markets so that the total volume of organic spice produce harvested by the farmers can be purchased by PODIE. PODIE practices fair-trade and as it's social commitment to stakeholders, promote and adhere to globally accepted fair-trade standards, both at production and in marketing our processed organic spice products thus striving for consumers' satisfaction. Who are the people involved in the business? Board of Directors / Management Staff/ Workers at the Processing unit.